Who doesn't know about the most seemingly harmless but lethal weapon responsible for the environmental pollution? No doubt folks, Plastics will definitely make a place in top 5 such insidious substances which destroy the lives without making a noise. 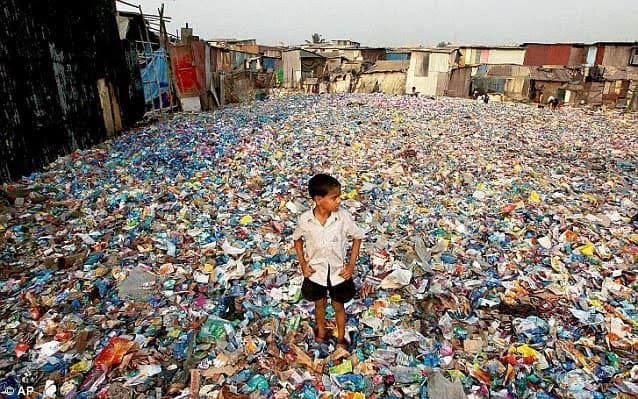 A recent study published in University of Houston news and events page confirms that a whopping 150 million tons of plastics per year end up in landfills, oceans and other places instead of a proper treatment facility. Only 9% of the plastics ever get recycled in the United States and 30% of such wastes in Europe get treated. What about India? Good news is, India possesses the highest recycling rate (70%) for plastics whereas the world average is stuck at 22%. In a bid to improve the statistics, researchers from the University of Houston and IBM joined hands to create recyclable and environment-friendly plastics that can optimize the usage to its best extent. The report mentions it's a $176 billion issue that could be saved from treating global plastic solid waste. However, the new team has proposed a method to increase plastic wastes that can be properly recycled. This opens a double way to address the mentioned issue. Firstly, new plastics will be created with inherent qualities for recycling also improvising old approaches for favorable treatment. Keeping plastics segregated from a single waste stream by ditching costly and time-consuming sorting process the team will save more with another positive step to break down plastics in a more energy-efficient manner. In a recently published open article, the research team mentions that replacing the existing methods with lower energy dependent alternatives and revising some compatibilization techniques will vastly diminish the need for sorting. According to Megan L. Robertson, associate professor of chemical and biomolecular engineering at the University of Houston, this is the key point to eradicate a great number of red flags. Logically, new materials take time to hit the industry so for a greater impact more efficient methods must be applied to resolve issues surrounding a large number of plastics already available in the market. Further, the research can be pushed to find new recyclable materials. As an example, thermosets, a specific type of plastic, cannot be remolded or reheated after their initial heat-forming process. As a result, they can not be recycled using existing technology. Progressing their research, the team envisioned biorenewable components for thermosets which replace hydrocarbon-based polymers from their structure with derivatives from vegetable oil and other plant-based materials, making them suitable for composting or chemical recycling. The team mentioned three key points to establish their research. 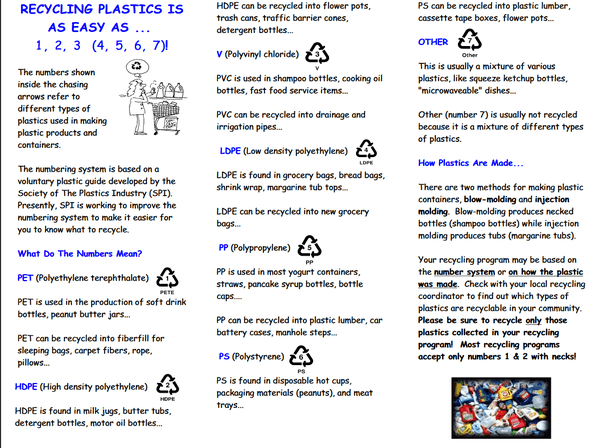 First and foremost, plastics have to be sorted for recycling which adds an extra financial burden. Plus, having large molecules in their structure plastics (or polymers) do not mix with each other when heated, producing a similar reaction when oil and water are mixed. Their research focused on finding compatibilizers, in simple terms, ingredients that will facilitate the mixing. Although, ideally a single compatibilizer is expected to work for all polymers, current technology limit that to be specific for each plastic mixture. Next up, Chemical recycling process uses a catalyst to disintegrate plastics to produce lower-molecular-weight products. The process is burdened with high energy cost which the team wants to decrease by using highly efficient catalysts. And last but not the least, the team highlighted the type of plastics which undergo recycling is polyethylene terephthalate or commonly known as PET. You get it right, those green and white cold drink bottles of 500ml fall into this category. Amplifying the recycling process the team is trying to build newer recycling methods for thermosets and elastomers (rubber) which can not be recycled using conventional methods. Counting the advantages of recycling, the team mentioned it will help in reducing greenhouse gas emissions, diminishing waste stocks in the environment, minimizing the reliance on finite petroleum resources for its production, and recovering the economic value of plastic solid waste. The recent report on their research has been recently published in Science journal. There has been some home research also going on into this matter. There is also a patent for using plastic in making road toppings alongside the regular macadam. I'm not sure which is more economical for India. Sadly, no research is usually put into action by our governments after building vote bank on the issues. Consider this research by Plastic Man of India as an example. Their claim to fame is using post consumer PET debris, it's not the top of the food chain for isolation in our manufacturing process, however , it seams more durable than the low grade array of synthetics--Definitely a proponent of clearing the fields and streams to be recovered in the "in-process" fabrication realm.